BLOOMINGTON – Jurors in the Kirk Zimmerman murder trial viewed more than 100 crime scene photos where his ex-wife was found in 2014. About 20 of the photos included the body of Pam Zimmerman, who was found dead in her office on East Washington Street. The defense and prosecution questioned Scott Mathewson who was a crime scene detective tasked with taking the photos of the scene. 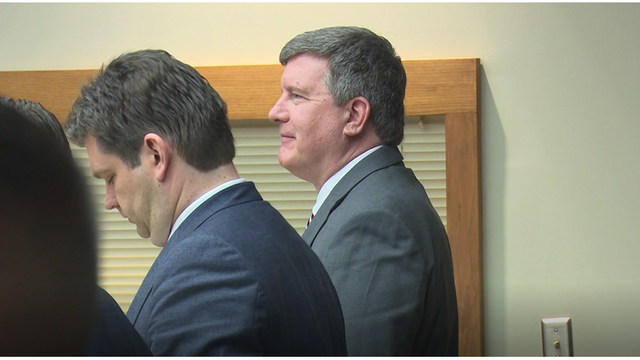 Mathewson said, while investigating Pam’s office, he did not see any signs of forced entry. He found three shell casings: one next to Pam’s body, one in a chair (which also had two bullet holes in it), and one in the windowsill. Jurors will hear more testimony Thursday afternoon, but they have the day off on Friday.